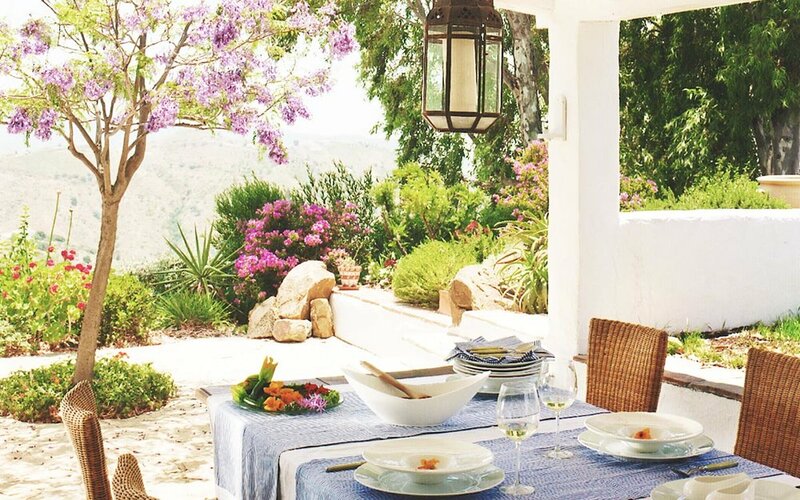 Indulge in a bespoke and luxurious stay near Malaga at El Carligto, an idyllic Andalusian hideaway set high up on a private hilltop. 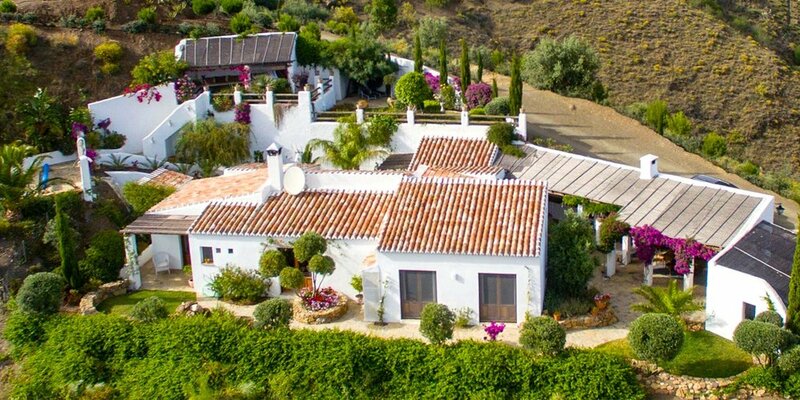 The Estate composes of two villas; El Carligto itself and the Hunting Lodge, both just 150 metres apart – easily rented together for an exclusive occupancy of the entire estate, though perfectly private apart. 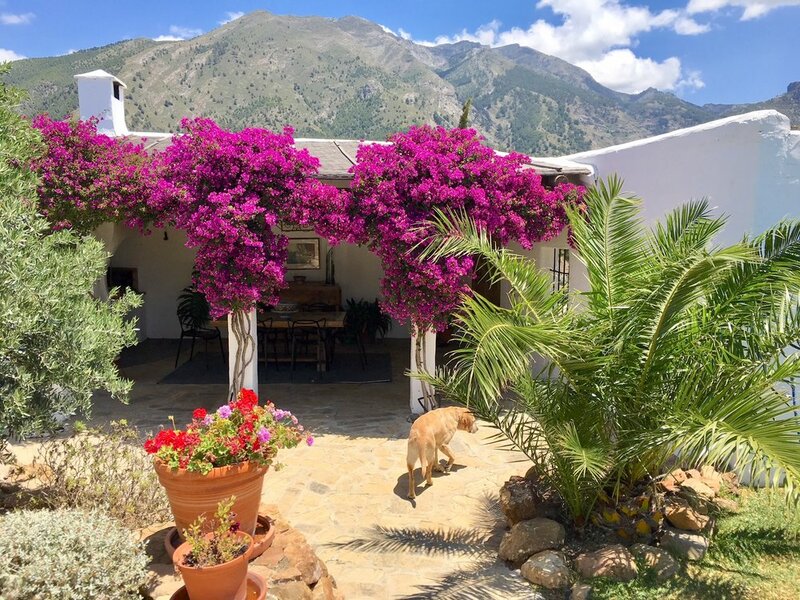 The villa is perfect for those seeking an independent stay as it has fully equipped kitchens, cozy terraces for open-air dining, two private pool areas and comfy double bedrooms. Those still yearning for extras such as luxury concierge services can take advantage of the in-house catering and cooking courses with one of seven different private chefs, guided cultural and culinary excursions, and the ease of assistance with dinner reservations, securing tickets and even full travel planning. Massage, yoga and spa treatments are all available to round out the pampering. Both properties greet you with a luscious leafy entrance, a colourful courtyard garden to help maintain privacy. 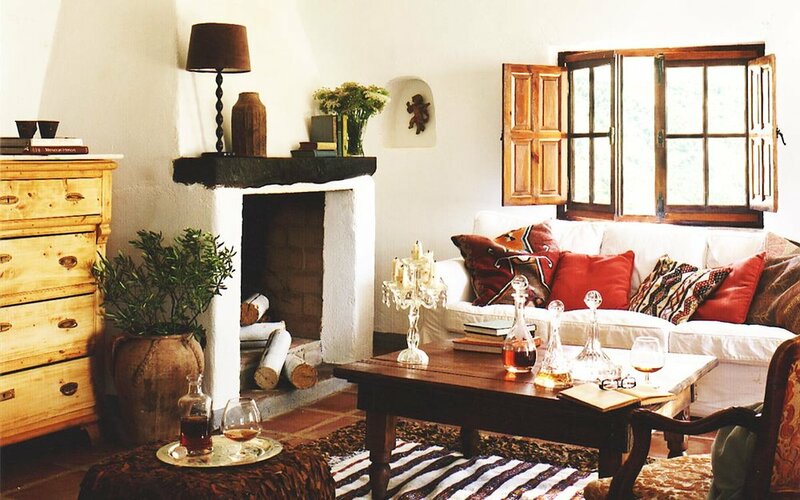 Expect rustic-chic luxury at El Carligto with four double bedrooms embellished with hand-stitched Suzani tapestries, antiques and multiple fireplaces. 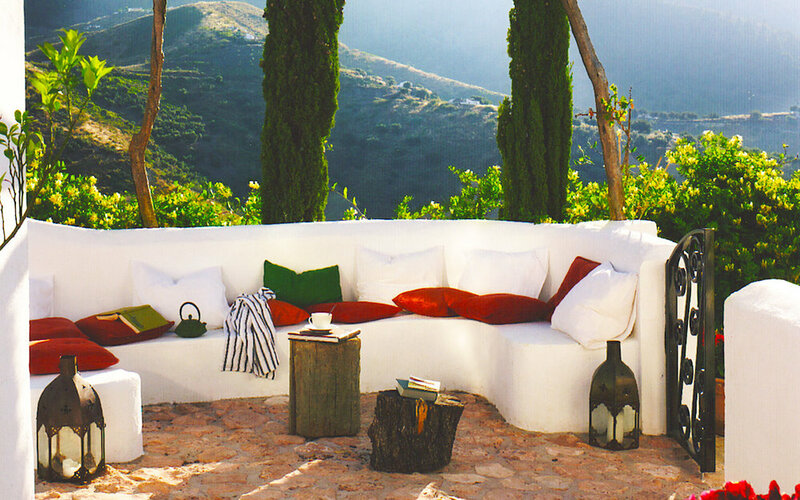 Bliss is assured in this cozy and elegant space, complete with all the essentials required for a rejuvenating stay whilst based in Andalucía. A short arched corridor connects the master bedroom to the en-suite and its hammam-style bath, private terrace and outdoor shower. 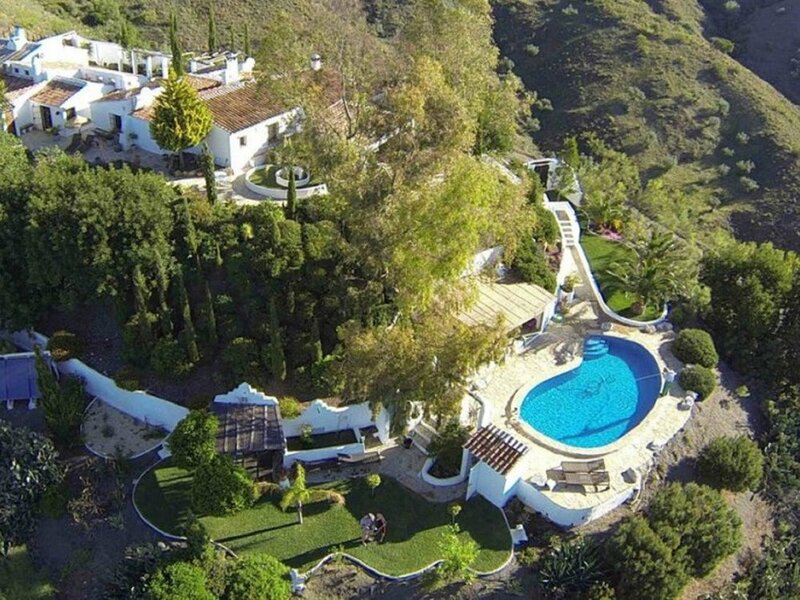 There is also a pool terrace overlooking the Mediterranean with additional garden space and a summer kitchen for entertaining or simply relaxing on balmy hot days in the south of Spain. 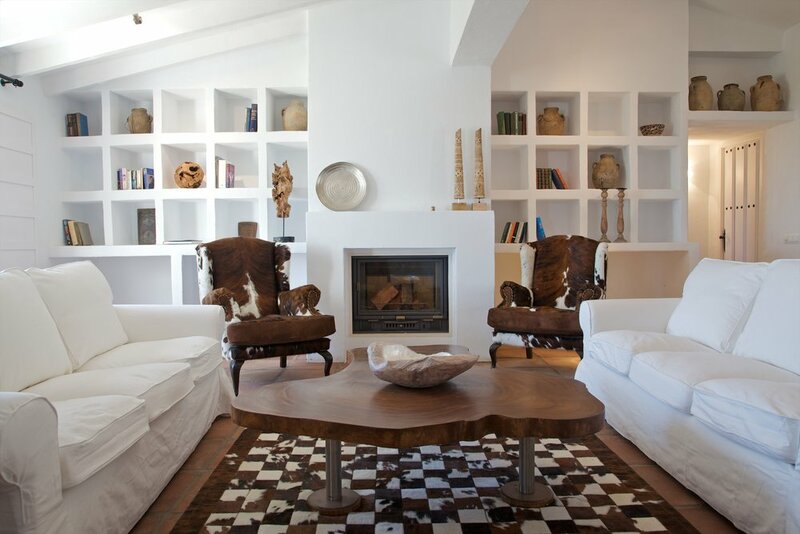 The Hunting Lodge offers an alternative, though complimentary feel with a more modern touch. Thanks to original artworks and use of carefully curated art deco furniture, a bohemian vibe oozes through the cool white spaces of the open plan interior. Large sets of south-facing double doors flood the interiors with light and offer expansive views, while the pool here can be heated. With three double en-suite bedrooms and a bathroom for guests, groups find plenty of private and shared space - with comfort always at the forefront of the experience. Views of mountains, valleys and the sea can be enjoyed without end from the Lodge, making it easy for guests to connect with nature and unwind in blissful seclusion.